Overall, the global economy has never been more encouraging. Consider that it has more than doubled in size over the last 15 years and is now $54 trillion. In the same period, global trade has grown by 133%. We see commodity prices at 200 year highs, all a result of soaring global demand...more people eating, drinking, washing, driving and consuming. The New England Patriots� star quarterback has agreed to serve three years as honorary chairman of a bike ride sponsored by Audi that raises money for those with intellectual disabilities. As part of the agreement, Patriots� offensive linemen Matt Light, Stephen Neal, Dan Koppen, Logan Mankins, and Nick Kaczur will get the use of new Audi Q7 SUVs for the next year. Exchange used books with other BookMooch members and �get� the book(s) that you want in return. There is no cost to participate in the BookMooch community. Only pay for the actual shipping of the books that you agree to swap. Swap paperback books, CDs and DVDs, with other members of Paperback Swap. Membership is currently free. Like with any swapping community, members are responsible for paying the actual shipping cost for the products that they have agreed to swap. IRTA Europe is pleased to report the meeting in Gliwice, Poland, was a great success. The conference was organized and hosted by BCI Barter Systems� Dariusz Brzozowiec; his team did a tremendous job for all who attended. IRTA President David Wallach and Executive Director Ron Whitney, USA. � Discussion about both the upcoming Directive of the European Parliament and of the Council on Payment Services in the Internal Market. The group has discussed the working document of the EU. In fact the EU will regulate all payment systems, which also effects the barter industry. After short deliberation in the group we have come to the conclusion that we need assistance to understand the circulation and its possible impact. IRTA will order an assignment to summarize and determine the impact of the working document, and will receive a guideline for how the industry should react. � IRTA Trust: A topic of discussion presented by Reiner Husemann was to form the IRTA Trust. This program would have other IRTA Trust members take over existing trade exchange clients should one file for bankruptcy or go insolvent. In theory, this would avoid the overwhelming negative impact on the industry seen in the past and minimize it in the future. While not yet approved, further discussions are planned on how to implement such a complex program and will continue at the next IRTA meeting in September at IRTA�s 29th annual conference at the Westgate River Ranch in Florida. � IRTA Consulting Service: IRTA has secured a talented group of professional consultants that will support the members of IRTA. � IRTA 2008 Annual Convention: September 22 - 25 at the Westgate River Ranch in Florida. Scheduled are several days of networking events, team-building, learning and fun! ITEX Corporation (OTCBB:ITEX), a leading marketplace for cashless business transactions in North America, announced its 26th annual national convention will be held this week at the Orleans Resort and Hotel in Las Vegas. �Let the Good Times Roll is the theme of this year�s convention for brokers, franchisees and staff...the largest in its industry,� said ITEX CEO/Chairman Steven White. �An outstanding interactive program has been prepared for this convention. � Monday is opening day - including a question/answer session with CEO Steve White, and a variety of franchise owner sessions focused on how to better run their businesses. � Tuesday�s focus is on new member registrations � addressing how to hire effective sales people, prospecting tools, sales presentation tips and strategies, ending with closing techniques. � Wednesday is dedicated to trade directing - covering building member relationships, delivering A+ customer service, and increasing transaction volume. � Thursday is closing day � with CEO Steven White giving the State of ITEX Address, a franchise and marketplace review, ending with the Gala Banquet & Awards Ceremony. In today�s business world, barter�one of the oldest forms of trade�has been transformed into a sophisticated way of doing business. As a result, trade exchange networks, the clearinghouses for those wishing to barter, have flourished. And as more businesses barter, it becomes increasingly important for CPAs to understand how such transactions work�especially the tax ramifications�so they can advise their clients or employers. What are the mechanics of barter in today�s business world? How should you handle a company�s barter records at tax time? How do you tell who can benefit most from the practice? Read on. Businesses are discovering that barter not only has financial advantages, but it has marketing benefits as well. Barter brings in new business that could never be acquired in any other way. And, as a bonus, there are no cash expenditures for this kind of marketing. c) both represent a business expense. But because it�s usually difficult to get such a match�where the two businesses need equal amounts of each other�s product�opportunities for such direct barter transactions are limited. That�s where a trade exchange network comes in. It can smooth out transactions that otherwise wouldn�t be possible. The network deals in units of currency called trade dollars. The goods and services of one company in the network are exchanged for trade dollars that can be used to purchase the goods and services of any other company in the network. The network functions as a recordkeeper, sending each client a monthly statement and charging a fee�usually 5% to 7%�for each side of a transaction. Each member-company in the network is assigned a broker, who notifies clients of new products and services, and searches out new ones on request. The larger trade exchange networks have thousands of clients, making them a viable source for many business needs, such as office equipment and supplies, printing, advertising, cleaning and maintenance services, professional services, and travel and entertainment. The Tax Equity and Fiscal Responsibility Act of 1982 classifies trade exchange networks as brokerages, so they are required to file 1099-B forms listing the sales of client companies. Just as in the case of a stock brokerage, the trade exchange sends a copy to each client for use in tax preparation. All barter income is on the cash basis. Perhaps the most important barter accounting concept is that the IRS treats barter transactions as income received for both accrual-basis and cash-basis clients. The value of trade dollars received must be included in gross income for the tax year in which they are credited to the client�s account. Since tax is due on this income in the year it accrues, companies that are profitable should avoid having unspent trade dollars at the end of the fiscal year. This is not a concern during unprofitable years. As long as barter income does not put the company into a profit situation, it will not be taxed. can be used as compensation, too. A company can give the bartered goods or services as a bonus or as part of a compensation package�without tapping cash. Many companies conduct barter bonus or sales incentive programs, using everything from restaurant certificates to resort trips. Just as business expenses covered through barter are deductible to the same extent as cash, barter used as compensation is subject to personal taxes. Barter used as a bonus or compensation for an independent contractor must be included on the contractor�s 1099 as non-employee compensation, and all barter compensation for employees must be taken into account on their W-2s. Barter compensation is subject to federal and state with-holding, FICA, FUTA and SUTA. Taxes, of course, must be paid in cash. Accountants can advise clients to use barter to achieve specific business goals, including. . .
� Cash conservation. Paying for business expenses with trade dollars leaves more cash available for the payment of strictly cash expenses. � Barter lines of credit. Barter can be particularly useful when a business needs to borrow money to relocate, expand, or launch a marketing program. A barter line of credit may be easier to get than bank credit because trade exchange networks look at a company�s capacity to pay back through demand in the network, rather than through traditional collateral. Many of the products and services associated with moving, remodeling or marketing are available in trade exchange networks. Interest on barter lines of credit is paid in trade dollars. � Marketing advantage. Because barter purchases represent lower out-of-pocket cash costs, trade dollars often can be earned with little increase in overhead and without advertising or marketing expense. A barter network keeps clients informed of new products and services available for barter. Some networks hold events such as holiday shows, where clients have an opportunity to meet each other and examine each other�s products or services. A further advantage of barter arises directly from the makeup of trade exchange networks. Because radio, television and print media companies can run additional advertising spots or ads with little increase in overhead, they often participate in exchange networks. This means network clients can finance ad campaigns by paying with their own products or services. � Help with collection. Businesses can use barter to get value out of otherwise uncollectible debts. Instead of chasing cash, which might be nonexistent, the creditor can give the debtor company the option to pay with its product or service. That product or service is placed in the trade exchange network and its value in trade dollars is transferred to the creditor, who can spend it in the network. A company also can use barter to pay a debt by offering to transfer credit it has earned to a creditor. � High T&E (travel and entertainment) costs. Restaurants, hotels, stadiums and even some airlines barter, because they have excess capacity in the form of empty seats and rooms that can be traded for products and services for which they would normally pay cash. However, T&E taxes and gratuities must be paid in cash. Conversely, trade exchange network clients with high T&E expenses can benefit, because of the number of travel and hospitality choices available. This includes companies that offer travel incentives to high performers. � Products and services needed by hospitality firms. Companies that sell or repair furniture, plumbing, air-conditioning and heating systems, and those that offer cleaning, painting and other services needed by restaurants and hotels, find their products and services are in high demand in the network. � Excess inventory or capacity. A company with excess inventory should consider barter before liquidation, because barter offers the opportunity to sell at full price. A plumbing wholesaler with 500 faucets might earn trade dollars from a Caribbean resort that would happily take such an item in quantity in exchange for vacant rooms that still another client in the network might use for a company retreat. Companies with excess capacity are barter candidates because capacity can be turned into extra business�business that costs the company only the direct costs of producing their goods and services. � Seasonal fluctuations. For some companies, barter may not be beneficial at certain times of the year. A furrier, for example, may be too busy in the fall and winter seasons. But during the slow spring and summer, when inventory still on hand is moving slowly and cash flow is light, barter business probably would be welcomed. � A new product or service. Barter can be used in several ways to lower the risk of introducing a new product or service�in test marketing, for example�because it costs nothing in promotional expense other than trade exchange fees. In addition, the direct cost of promoting a new product can be offset by trading the product or service for advertising through the network. Understanding the uses of barter and which clients can benefit from it improves accountants� adviser role. The CPA with clients that have decided to use barter should advise them to limit barter income to the extent of their ability to spend the trade dollars they earn. Companies new to barter usually find it helpful to begin slowly, to get a feel for the ebb and flow of trade dollars. 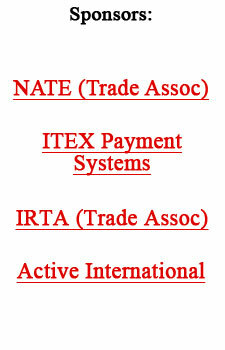 Clients considering barter should be sure the prospective trade exchange network is a member of IRTA, which sets a high standard of business and ethical conduct for its members and is composed of more than 250 companies. The client should seek a stable network�one that has been in business a number of years and can offer references from companies that have used the network for a year or more. If approached with care, barter can be an important business tool. Phyllis Malitz, CPA, is the principal of Phyllis Malitz & Associates, Ltd., a CPA firm with offices in Wilmette and Chicago. She is a member of the Federal Income Taxation Committee of the Illinois CPA Society, and the Barter Accounting Standards Work Group of the International Reciprocal Trade Association. The following are eight ways to keep profits up in an uncertain economy. 1) Take a good hard look at what�s in your product line. Some hold their own more than others and prosper in a recessive environment. Determine what degree of emphasis each product should receive. 2) Some of your products might benefit from creative repositioning. The reasons they sell during difficult times might be different from why they sell during prosperous times. You might get a benefit by emphasizing different aspects of the product. 3) Channel your marketing resources. During difficult times it might make sense to put more resources toward your established clientele than recruiting new prospects. They�re already customers, part of the family. A dollar spent on an established customer might deliver more than a dollar spend on recruiting a new customer. 4) keep in mind that your business costs have fixed and variable components. Manage your variable costs as closely as possible. 5) Think of strategies to accomplish a reduction in markdowns, but be careful not to hurt your customer service level. 6) Provide more stimuli for purchasing by assuming a more aggressive posture on incentives to create increased sales. 7) Conserve capital investment. Do not be aggressive in your inventory buying plans. Be more restrictive in additions to staff and building expansion. 8) Zero in on the services of your trade exchange to maximize cash flow.